This variable density cell structure contributes to the strength an flexibility of the bamboo stem. Cross section of a young bamboo shoot (a monocot). 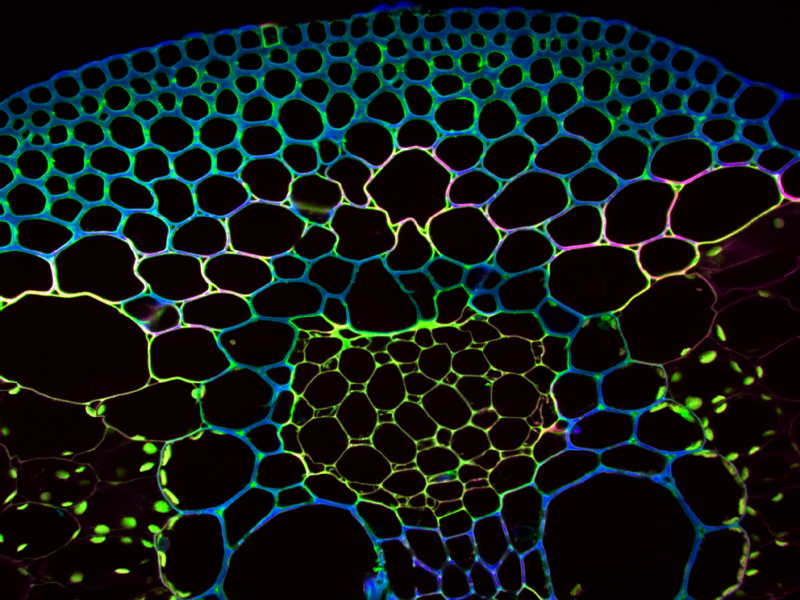 The more densely arranged vascular bundles are differentiated from the large hollow cells. Confocal image of Bambusa (Bamboo) plant cross-section. The plant is dyed with colored fluorescent proteins to reveal the cellular structure. Haseloff Lab, University of Cambridge. The organization of specialized cells within monocots and dicots. Introducing variable sized cells at specific locations amongst the nodes of the latter model. 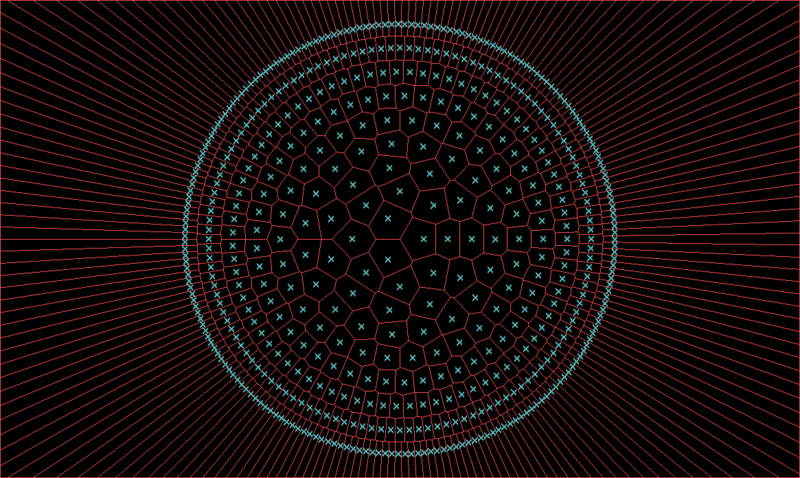 The remainder of the cells adapt parametrically to the new cells. 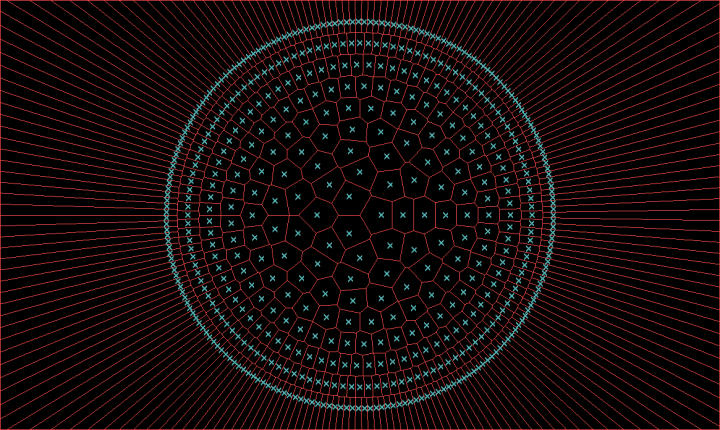 Sequentially increasing the voided areas. 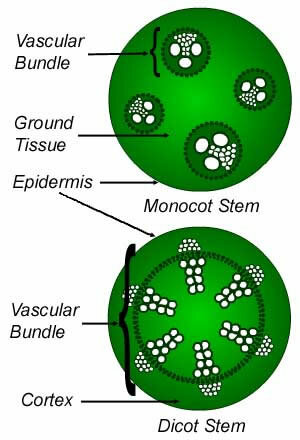 Introducing densely packed cells (green nodes) as in the vascular bundles of monocots. These bundles interact with the previous voided areas (yellow nodes).